In this guide, we've researched the best can openers for a variety of different applications and made sure that they've got positive user reports going back for long periods of time. The goal? To help you find the last and best can opener in 2019 you'll ever buy! A good opener can be hard to come by. With so many junk products on the market, it's common for people to go through several can openers a year, never quite finding one that actually works. What Makes a Good Can Opener? When you crank on a can opener you're using the knob to move the teeth forward which ultimately opens the can. But many can openers are designed with knobs that aren't easy to turn. This gives you poor leverage and is hard on your fingers. There are a few different ways to increase leverage with a can opener. Design it so that the teeth are better at gripping the can. Give your fingers more "grip" onto the crank. Make it a "swing-style" design which allows you to use your entire arm as leverage. 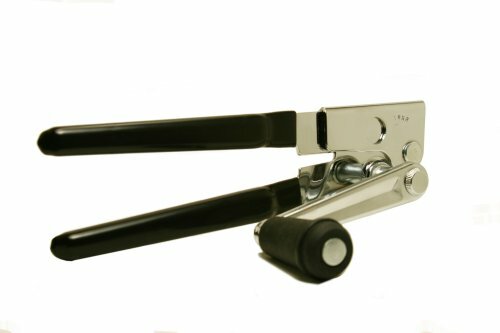 The video above shows how a swing-style can opener works. As you can see, you have much more leverage than the typical openers. Of course not every can opener on this list is a "smooth edge" can opener, but a few of them are. They work by opening the can from top rather than the sides and leave you with a spot on the lid to lift up. The video above will show and explain how a smooth edge can opener works. If you're in a commercial or industrial setting, the amount of cans you can open per day/hour can be critically important. That's why we've included several commercial can openers on this list - as well as the Edlund 270 which is designed for ~200 cans per day! Here's a demo of a commercial can opener in action (seen above). As you can see, these provide the absolute maximum amount of leverage, but aren't really that practical for a household kitchen. If your hands aren't as strong as they used to be, you're left with two can opener choices: a swing-a-way model or an electric one. With a swing-away, you get much more leverage with the "twisting" hand, but you still need to clamp down with the other one. It's easier than a standard can opener, but not as easy as an electric one where you simply need to line the can up and push a button. If you'd like to try the Swing Away, check out the Amco, but if you'd like to do the least amount of labor possible, then check out the Hamilton Beach. With so many things being made overseas nowadays, we could only find one can opener worth mentioning that was made in the USA: the Balfan Manual Can Opener. As a testament to its quality, it comes with a 10-year warranty which is absolutely unheard of for can openers. If you want a manual can opener, then consider getting the Swing Away for opening #10 cans as it gives you the most leverage with the least amount of effort. If you're a lefty, you'll want to check out this manual can opener from The Left Handed Store. It's one of the few (if not the only one) on the market today that actually has a decent reputation and many positive reports from users. Alternatively, you can check out any of the electric can openers on this list as they don't require much strength or coordination from either hand. 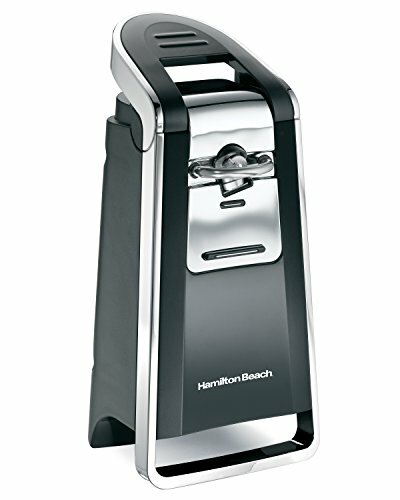 Depending on your situation, you can either try the Swing Away can opener for maximum manual leverage or the Hamilton Beach Smooth Touch for hands-free opening and non-sharp edges. The more limited movement you have with your hands, the more likely that the Hamilton Beach Smooth Touch will be a better fit. 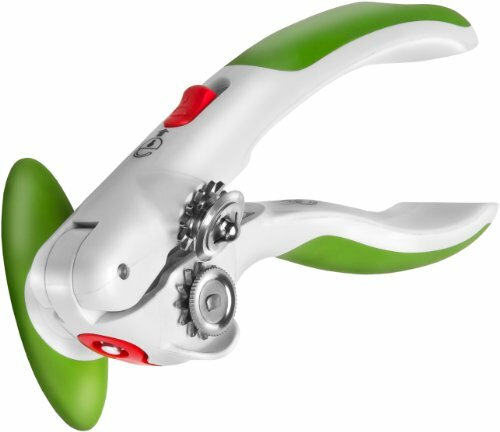 There are several manual can openers on this list, but the three that really stand out are the OXO Good Grips Smooth Can Opener, AMCO Swing-A-Way and the Balfan Manual Can Opener. They each have their pros and cons, but if you're looking for a traditional opener, then look at the Balfan. 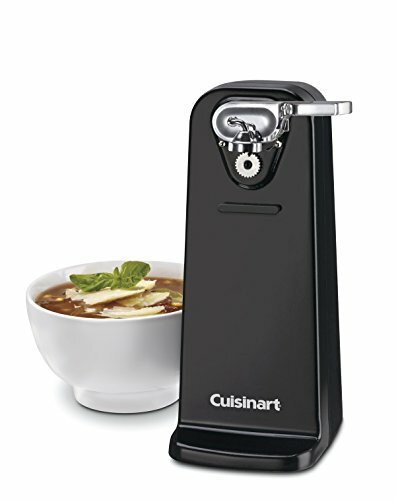 The two best electric can openers we could find are the Hamilton Beach Smooth Touch or the Cuisinart CCO Deluxe. Either are a great pick up by two reputable brands in the kitchen space. 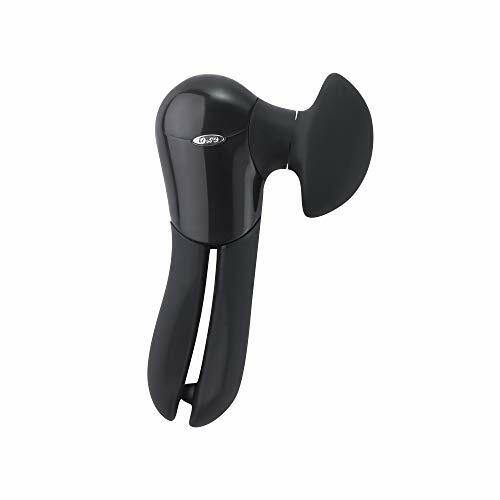 The best manual smooth edge can opener we could find the OXO Good Grips Smooth Can Opener. It takes a bit of getting used to (especially the lifting of the lid), but you might actually find it easier than a regular can opener once you get used to it. If you want something electric then look for the Hamilton Beach Smooth Touch, but just know that it takes up a larger footprint and isn't meant to fit in a drawer. Either way, no more worrying about cutting yourself on the edges of your can lids! 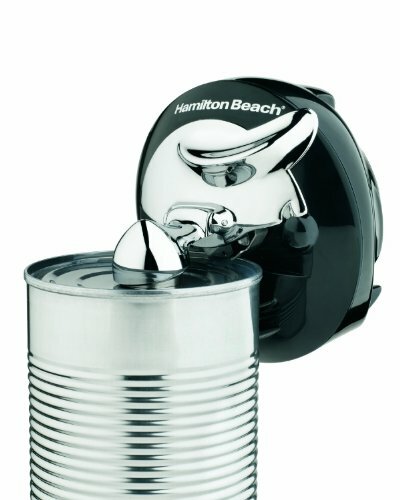 While it's certainly not the best can opener on the list in terms of function, this Hamilton Beach Compact Can Opener is a good option if you absolutely need to save space. You can also consider getting a Swiss Army Knife like this Victorinox model, even though it’s not a dedicated can opener. 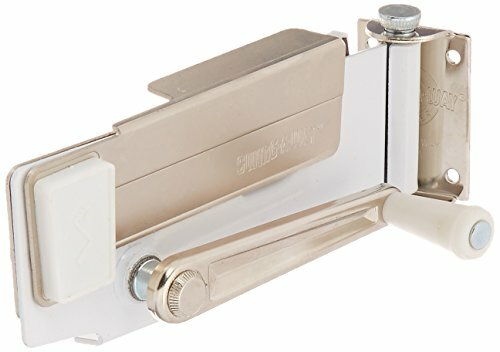 This swing-a-way can opener is great because it doesn't require any finger strength to turn the can opener. Rather than being a short knob, the can is opened with a large crank. This means that it requires arm strength rather than finger strength to open the can making it deal for people with certain types of arthritis. 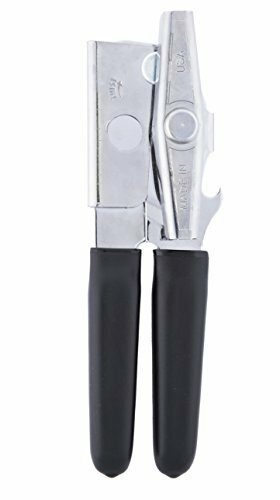 While it may seem difficult at first, using a smooth edge can opener is actually much easier, safer and efficient in the long run. In my experience, they require much less leverage and force to cut the can once you get the motion right. The hardest part is "lifting" the lid off with the little clamp which requires a bit of dexterity. Either way, the OXO is one of the most reputable smooth-edge can openers on the market. This is an option for the left-handed folks. All the principles of a good can opener go out the window if you don't have the coordination to use it properly. This opener is designed with the crank on the opposite side so that users can clamp with their right and turn with their left hand. This manual can opener for great for a number of reasons. The first reason is its locking mechanism. With traditional can openers, the user has to clamp down with their hands to keep the teeth locked onto the can. This can opener locks onto a can by itself so that the user doesn't have to hold it. This allows turning of the can opener without having to clamp down with the other hand. After the can is opened, there's a magnet that does the final lifting of the lid off. 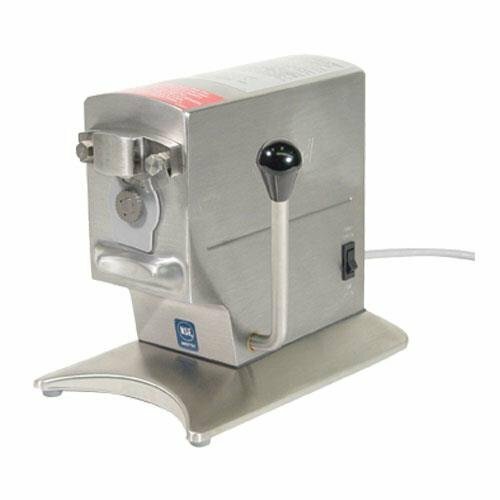 With a similar opening mechanism to the can opener above, this wall mounter swing away can opener can also hold the can in place while you crank it. This is an ergonomic double whammy since you don't need to hold the teeth down while you open the can. Very little to no grip strength will be required to open your cans, which is great news for anyone suffering with arthritis. This model is rather aesthetic and extremely simply to use. Simply place the can against the can opener and place the rim under the cutter. Once you're there, just press the button and let the machine do all the work. Once the lid is completely broken you can simply lift it off with your finger without worrying about sharp edges! While this certainly isn't the best can opener on the market, it's certainly one of the smallest. If you're severally limited on space or need something you can travel with, this is probably your best bet. Just know that it is electric and does need to be plugged in and charged. This model works similar to the one above, but as a bonus it comes with a built-in knife sharpener. Having a sharp knife is critical if you want to be able to chop things, especially for cooks with arthritis. The sharper the knife, the less likely that it is to slip while you're cutting something. This option is just another alternative to the other electric units above, but it doesn't really do anything differently. We just wanted to give you another choice for varying budgets and aesthetics. 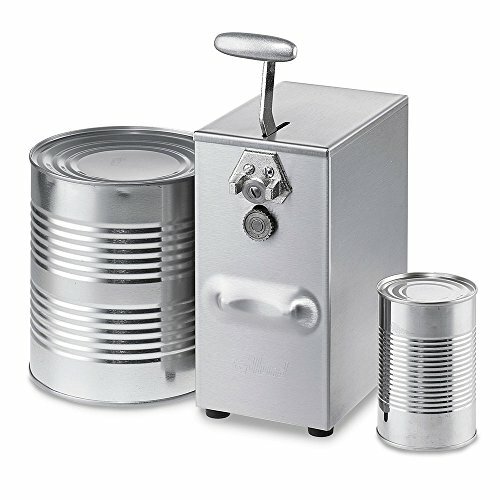 If the swing-style can opener isn't for you, then the next best option for heavy duty cans is a top of the line standard can opener. 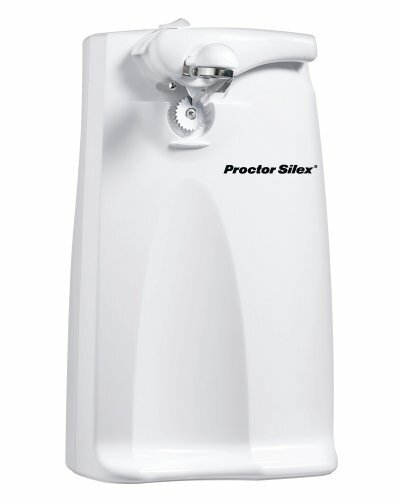 The Baflan Can Opener is made in the USA and has a 10 year warranty. This means it isn't going to even compare to a flimsy grocery-store can opener. It is zinc-plated which means that its going to not rust and have minimal friction. Granted, you aren't going to have as much leverage as with the swing model, but it is a bit less bulky and easier to travel with. While Edlund is known for making heavy duty commercial can openers, we selected this one as a potential for use in the home - although it is indeed an industrial model. Given the design of the unit, you're going to get the most leverage compared to the others which means easier and faster opening. Keep in mind that you'll need a stable surface to mount it on and won't be able to quickly remove it. If you have a kitchen that can accommodate and don't mind having it in plain view at all times then this is a great pick up! Of course, if you're looking for something industrial, this is also going to be a great pick. 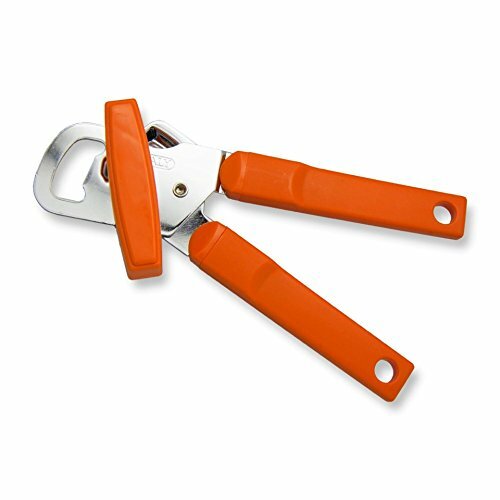 The reason that this industrial can opener stands out from the rest is because of its ability to open 5-8 cans per minute while being very stable and extremely easy to use. It has a heavier gauge and easier to move handle compared to the rest of the units on this list, but it's also the top-tier model meaning that it could potentially be a major investment. The Edlund 270 has two speeds which means that its good for large and small cans. The faster setting is used for big ones and the smaller setting for small ones. The recommended volume for the unit is 200 cans per day. If you want the best of the best, this is the one to go for. 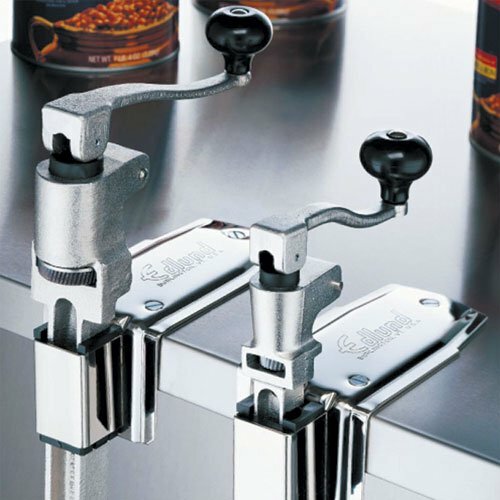 The Edlund 203 is the middle of the road option for heavy duty industrial can openers. It has the dual speed options meaning that it can do large and small cans. According to the manufacturer, the 203 does everything that the 270 does, but the 270 has a heavier gauge, an easier to move handle, and is overall the pinnacle of can opener engineering. That doesn't mean that the 203 should be scoffed at as it is still made to open 75 cans on a daily basis!